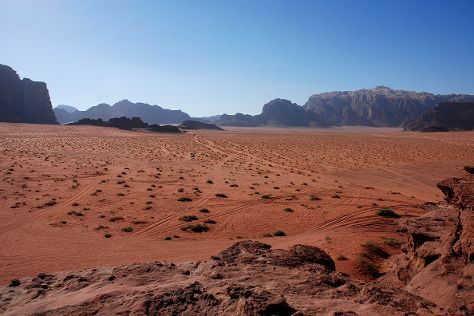 For such a small country, Jordan boasts a surprising variety of natural landscapes and urban attractions. A trip to Jordan takes visitors on a journey back to biblical times, when sites like the Dead Sea and the ancient yet astonishingly well-preserved city of Petra seemed to be at the heart of world events. Although covered in rocky deserts, Jordan boasts a good network of roads, which makes sightseeing by car an easy way to discover many of the country's top highlights. Begin your tour of Jordan in Amman, the largest urban center and a major political, cultural, and economic hub of this Middle Eastern kingdom. Jordan is in Middle East. When using our Jordan trip planner, you're building your holiday based on your own interests, visitor reviews, and the informed opinions of our well-traveled writers.